Pictured is one of the four new water bottle refill stations now ready for use along Kelly Drive. 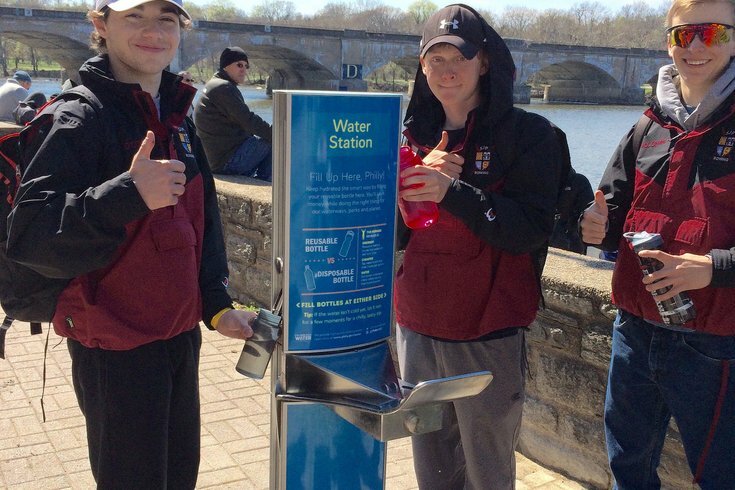 Rejoice, cyclists and joggers: The Philadelphia Water Department is quenching your thirst. PWD is set to debut four new public water stations along Kelly Drive Friday. The stations have been put in place as part of the city's effort to increase access to public drinking water. 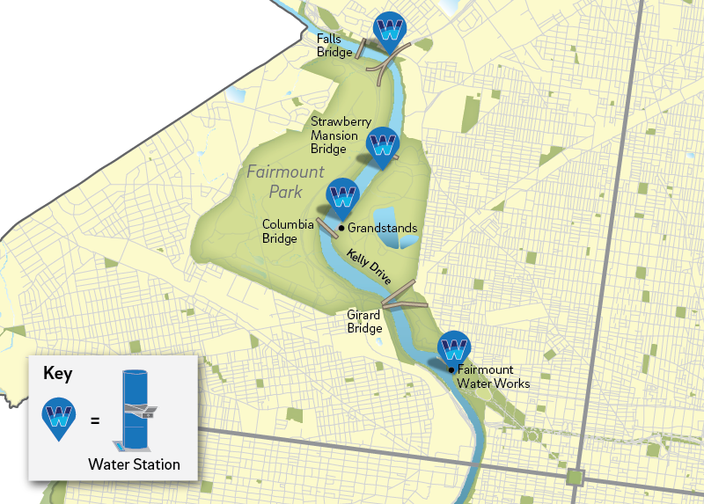 The four new locations are located at the following spots along the Schuylkill River: near the Route 1 overpass, the Strawberry Mansion and Columbia bridges and the Fairmount Water Works. This map shows the location of four new water bottle refill stations now ready for use along Kelly Drive. The water kiosks are not your "grandfather's" water fountains, according to a press release. Instead, the blue and yellow stations are designed for easy fill-ups for your reusable water bottles and feature a lower bowl where your dog can drink up. The hope is to continue cutting down on waste, specifically plastic water bottles and other packaged beverages. An unveiling ceremony will take place at 2:30 p.m. Friday at the Grandstands on Kelly Drive.